Though outperformed mega hits launched by Drake and Bruno Mars, Timberlake’s ‘Something‘ shows positive signs of growth after it earned $101,380 in the last chart week. 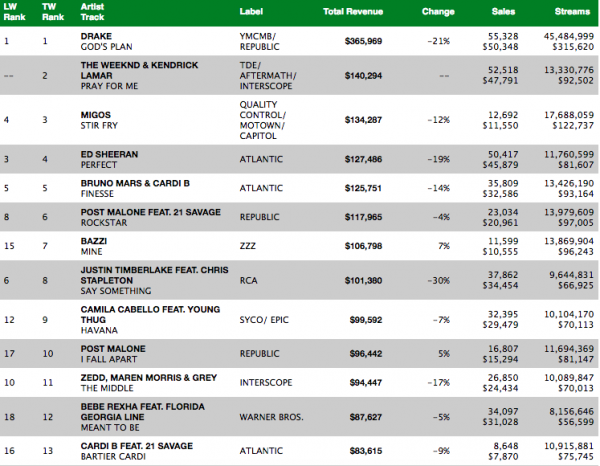 $66,000 of this was generated by spins he secured on streaming platforms and the remaining $34,000 came for traditional/pure sales. For, the Country Rock song is already faring better than its predecessors ‘Filthy’ and ‘Supplies’ and may be the first hit the album is to deliver for Timberlake. It was the only song before the album release that connected with his fans (shows you his target audience) so I’m not surprised. 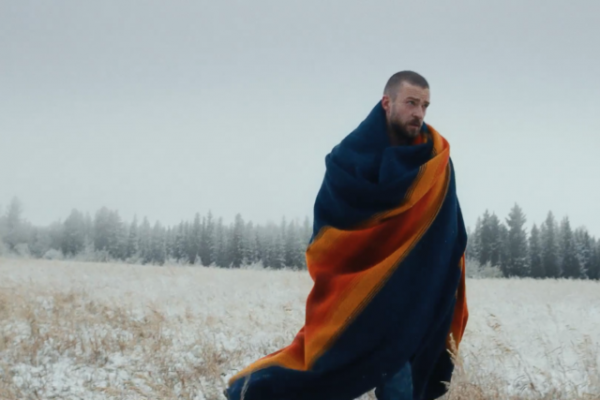 He was saying 2 weeks ago that he didn’t understand why people were thinking he was going to release a country album but released this song, photos of him in play in the wood and the name of the album is “Man of The Woods”…i don’t know if he’ll ever recover from this era, but then again he’s white so there’s a strong chance. $100k in a week — sounds good to me. More like 2-3 weeks…as you can see last week it was charted at #6 and this week it’s #8. The album was released 2 & 1/2 weeks ago and that’s when the song was made available. Lmao issa FLOP regardless lmfaoo. when did y’all basic his become so nasty in here? The Legendary Career Ender can fuhhhhhkinnnn nawwwwttt!!!!! You keep telling yourself that maybe one day it might come true. Lessors? B|TCH Everyone knows this site is all about Suicide Blonde, Jasmine, and JOHNVIDAL. We run this site B|TCH. We even got people on here impersonating us wanting to be us so bow down B|TCH or leave the site. From The Vault returns this week with yet Pop bop from the beginning of the century. Today’s pick is 2001's ‘Gone’ by *N’SYNC. 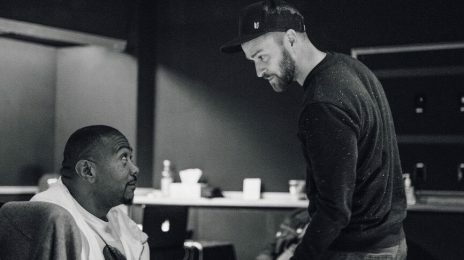 Justin Timberlake has a long, storied history with hitmaker Timbaland and it seems the pair will be adding fresh chapters imminently.